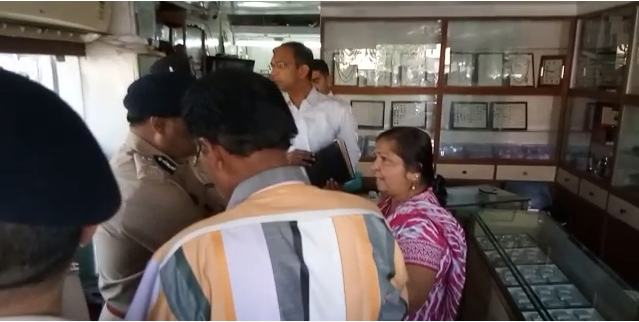 A gang of five persons pretending to be customers entered a jewellery showroom in Vadodara and looted 22 lakhs of jewellery kept inside. Two of them first entered the showroom and attacked the female owner shut her mouth with their hands. Then the other three waiting outside entered and collected the jewellery sets inside a bag and ran away. The whole thing was captured in the CCTV footage which last around 1 minute 35 seconds. As per the details the robbers strike inside a jewellery showroom R.K. Jewellers at Parmeshwar complex on Susen Tarsali road. 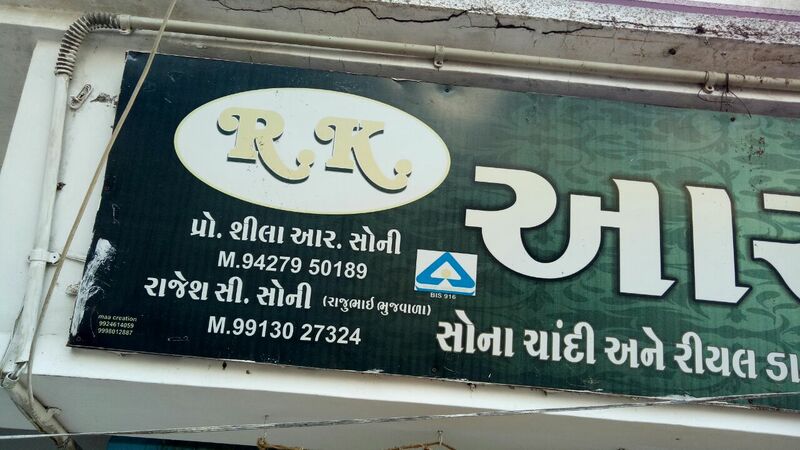 Rajeshbhai Soni and his wife Shilpa are the owners of the showroom and are running it by own without having any employees. On Monday Shilpa Soni was in the showroom as Rajesh Soni was out for some work. Rajesh Soni gives instructions to his wife not to show any jewellery to unknown persons. However she showed some jewellery sets to two persons entered inside around 1.30 pm in the afternoon. Unaware about the intentions of the two Shilpa Soni was showing jewellery to them when suddenly one of them pounced on her when she turned her back to get another set. The attacker shut her mouth with his hands and took her to a corner of the showroom. The second one also rushed to help his associate and they both control Shilpa before she can shout for help. After the green signal three of the accused waiting outside entered inside the showroom and started collecting the sets and put them inside a bag. After collecting sets worth around 22 lakhs they ran away from the spot leaving behind Shilpa Soni whose valiant effort to caught them went in vain. She shouted for help but till then the robbers fled from the spot. People rushed to her and called the police which reached the spot. Top police officials also reached there after the information. During investigation police found the whole incident captured in the CCTV camera and start investigating. The broad daylight robbery in Vadodara shocked everyone present there.